Although we are widely known for our patented Triple Offset Valves, Hobbs Valves are also leaders in specialised valves. We were the first manufacturer to produce a fire safe & non-graphite Triple Offset Butterfly Valves. We have patented our ‘guaranteed no-leakage’ Double block & bleed Valve and our innovative Cryogenic Valve offers quick operation whilst maintaining optimum performance at severely low temperatures. 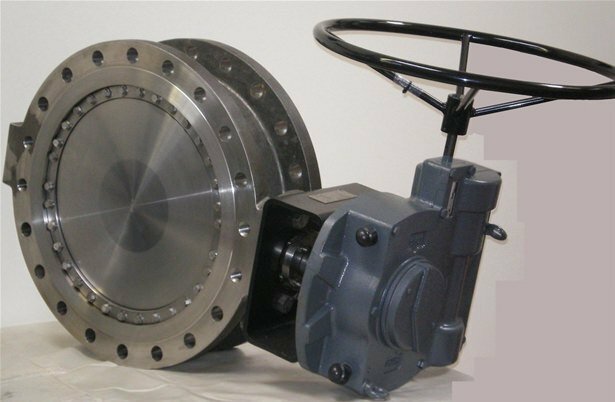 In 2006, Hobbs Valve became the first manufacturer to produce a fire-safe Triple Offset Butterfly Valve and in 2010 they were the first manufacturer to deliver a fire-safe certified nickel aluminium bronze Triple Offset Butterfly Valve to the later standards BS EN ISO 10497:2010. With this release, Hobbs Valve can offer an innovative solution to such applications as onshore and offshore fire mains service with excellent corrosion resistance. Hobbs Valve continued its innovative nature and engineered what they believe to be the first fire-safe certified non–graphite Triple Offset Butterfly Valve, eliminating the chances of galvanic corrosion through the use of graphite in Duplex and Super Duplex. Test results certified by Lloyds Register indicated exceptional performance. The Hobbs Valve TVT range recorded zero leakage in both preferred and reverse flow directions on Through Seat Leakage and external leakage at 15 bar G at up to 1000°C during the 30 minute burn period. Hobbs Double Block & Bleed Valve guarantees zero leakage and is safe for critical applications with verifiable and maintainable shut off. Before release of the Double Block & Bleed Valve two individual isolations valves would have to be used. This would include a spool piece and a bleed valve which recognised cost and weight but increased the risk of emissions because of the multiple flanged faces. After seeing the benefits the Triple Offset Butterfly Valves can bring, Hobbs Valve devised a way to incorporate these features into a three piece valve assemble manufactured within a one piece cast body. The Double Block & Bleed range has increased cavity between both discs, reducing the possibility of a breach during full pressurisation and further enhancing safety performance in critical applications. Also, many of the historical problems associated with conventional DBB valves such as increased weight, larger space requirements and increased costs are overcome. The Cryogenic Butterfly Valve is designed to withstand the harsh conditions felt when dealing with cryogenic fluids (temperatures as low as -196°C) and has benefit of quick operation due to the quarter turn design. Hobbs Cryogenic Valve range gives the requirements for Cryogenic duties including leak tight isolation, throttling, flow control as well as having the range of benefits associated with Hobbs triple offset technology. Triple Offset design & unique sealing method results in zero leakage performance which allows full isolation to be maintained in cryogenic conditions. The valves also have an extended bonnet with an adequate gas column to keep the shaft (stem) packing away from cryogenic fluids. To learn more about triple offset technology, take a look at the following article: Why Use Triple Offset Technology? Alternatively, head over to the solutions centre and speak to a certified Hobbs Valve technician who will happily answer any questions you have regarding the valves.